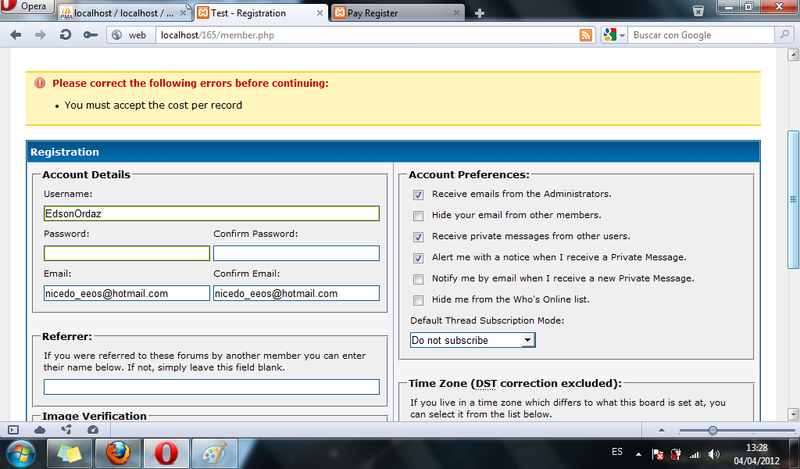 To register for the forum needs a payment via paypal. 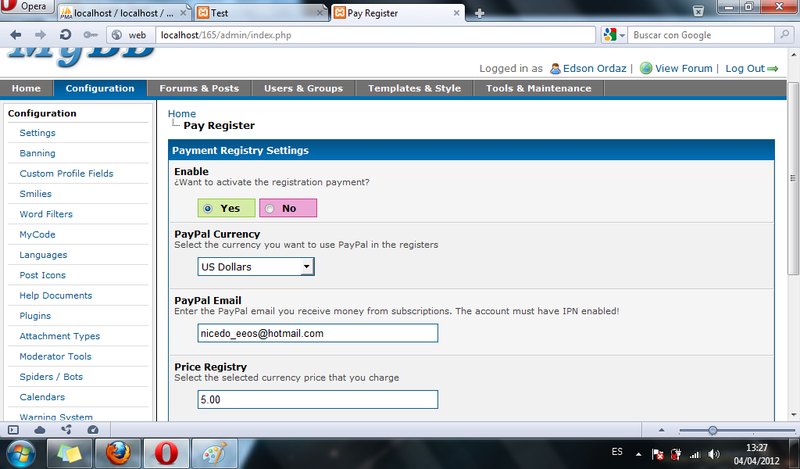 Plugin Description: To register for the forum needs a payment via paypal. 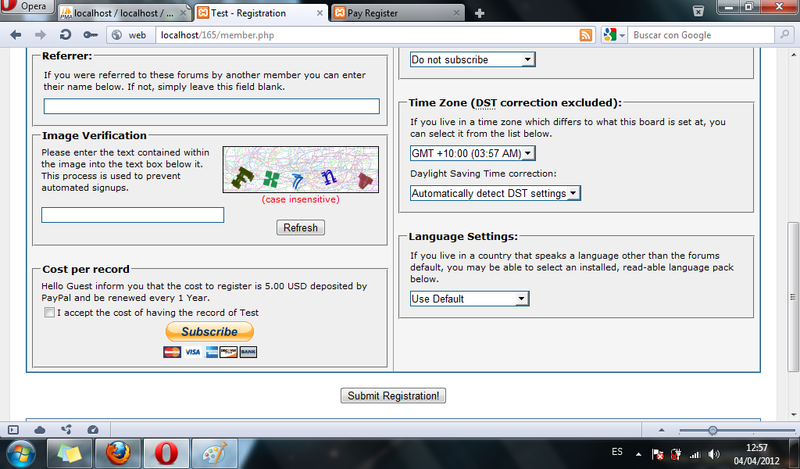 The plugin allows to register in your MyBB forum has a cost. From the email you enter ACP paypal where you will receive the money, money, time (years, months or weeks) and the period in which renewal of the registration fee! 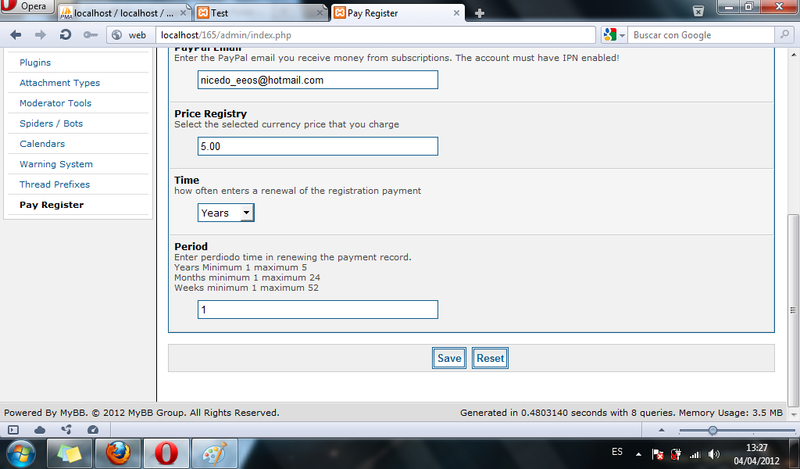 When a user logs must accept the cost of registering the plugin then sends it to paypal to finish the record and once paid paypal sends the information to the file payregister.php which must be within its root, this file processes the information received from paypal and if the transaction was successful takes the data that the user had entered in his record (these data are stored in the cache) and inserted into the database and then logs the user is registered as such.